DAΦNE team achieved the ambitious luminosity goal set for Run-III, allowing KLOE-2 to reach in total – to the present day- an acquired luminosity exceeding 4 fb-1, corresponding to about 12 billions of Φ-mesons. After the summer shutdown maintenance completion of both the accelerator complex and the KLOE-2 detector, collisions have just restarted in DAΦNE . The fourth and last data-taking period (Run IV) proposes to reach again and overcome the 5 fb-1 obtained by the end of March 2018. 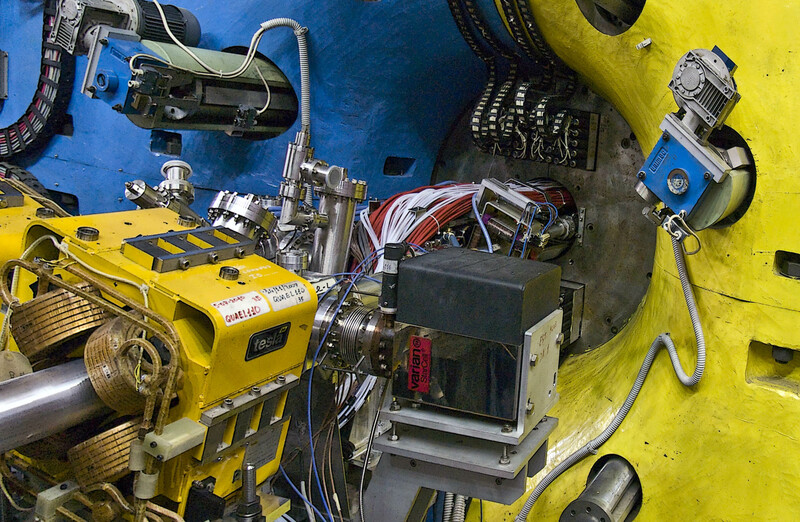 The analysis of the already acquired data has started and will allow to complete the rich KLOE-2 Physics program providing important results in several fields, including tests of the fundamental matter-antimatter symmetry of Nature with unprecedented precision, the study of rare K and eta-meson decays and that of strong interactions in low energy processes, photon-photon fusion processes, and the search for new exotic particles as possible manifestation of the dark matter.